If you try to remove head lice and nits on your own, you will end up frustrated. It’s better to leave the job to professionals, who can not only eradicate the infestation completely but will also save you time and unnecessary hassle. Call The Lice Place in Alabama to get professional help for your family’s head lice problems. We are the most experienced and the most trusted lice removal franchise. Our Spring Lice Removal services are affordable and come with 30 day guarantee. The Lice Place has expert technicians, who are extensively experienced and knowledgeable on understanding the severity of the infestation. We offer free head checks both before and after the treatment. Receiving these head check services is the best way to ensure the existence and intensity of head lice problem. After determining that the problem really exists, our experts will provide you with the most effective treatment. Our treatment method is based upon clinical diagnosis, and involves the use of TLP non-toxic products, professional combing and manual removal. We guarantee to eliminate your family’s lice problems with just one-time in-clinic treatment session. 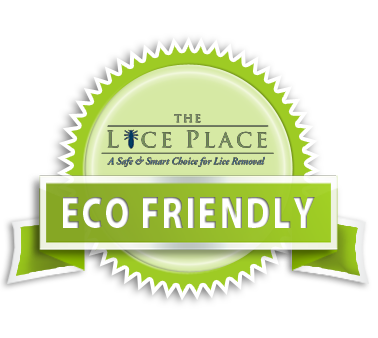 The Lice Place is the only company in the U.S that is owned and operated by a registered nurse. We are the most trusted company in Alabama and are now expanding outside of the state. This way, we can help more and more families that are suffering from head lice and nits infestations. For many years, The Lice Place has been providing its effective and safe treatment and products. We have cured countless numbers of families and individuals and enjoy the highest publicized success rate of any lice removal service in the country. You can also benefit from our specialized services and experience. Call us today to book your appointment for our Spring Lice Removal services. We not only help get rid of the existing infestation but also offer professional guidance and advice on preventive measures. We are your best chance to keep your family lice free for years.